You are here: Home / Engagement and Wedding / Beautiful New Engagement and Wedding Rings Have Arrived in our Store! Beautiful New Engagement and Wedding Rings Have Arrived in our Store! Diekman’s Jewelry has received in a great new selection of engagement and wedding rings. These rings are from Finelli Designs! This company is a new line for us. 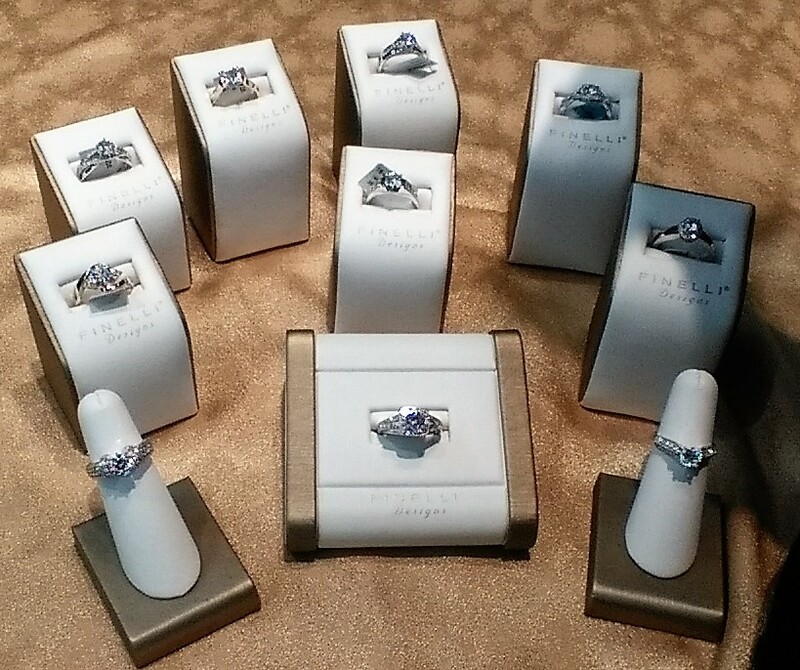 Right now, at Diekman’s Jewelry, we have the best selection of engagement rings in stock that we’ve ever had. Please stop by and try some on! Finelli is very stylish and made with high quality diamonds and great shanks to have a long wearing life. We’re very excited about them all.